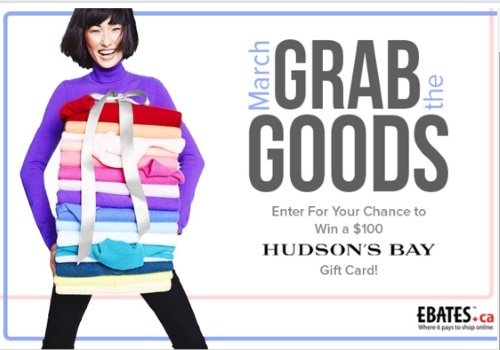 Ebates is giving away a $100 Hudson's Bay gift card this month as part of their March Grab The Goods contest! If you aren't an Ebates member yet, I definitely recommend to sign up, you will earn free cashback when you shop online through the Ebates website. Plus new members get a $25 bonus after their first purchase right now. Contest ends March 31, 2016.